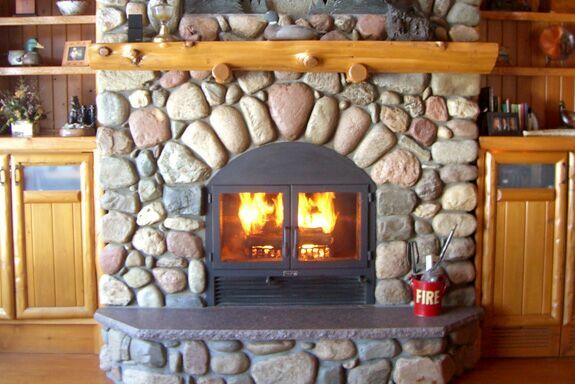 Fireplaces have always been a gathering spot in a home. Some provide warmth throughout the home while others simply provide a beautiful aesthetic. Aside from the practical benefits, fireplaces can do wonders to bring a room together. And, in addition to their cozy nature and aesthetic, a quality fireplace hits all of the check boxes interior designers look for. In interior design, there are three types of balance. The first, formal balance, is when a space is split evenly between two sides almost like a mirror. The second form of balance is informal, where the visual weight of colors, lines, structures, and forms come together to work as one. The final form of balance, radial, is achieved when there is one focal point in the room with complementary elements radiating from it. Interior designers can use fireplaces to achieve all three of these balances with the right placement of other items in the room, along with the color selection. With a variety of different materials and styles available, when working directly with a custom fireplace manufacturer, designers can collaborate to create the perfect fireplace for a home. Traditional fireplaces are still popular among many people, but with modern advancements and design innovations, there are now more choices than ever before. For example, a see through fireplace can connect two spaces together, such as the living room with the dining room, providing the perfect atmosphere; or connect your indoor space with your outdoor space. With materials like tile and mirror-polished stainless steel, among others, you’ll create a clean look that makes the fireplace a modern touch of luxury while embracing the heritage and tradition of sitting by the fire. With the ability to custom design fireplaces in a variety of sizes and shapes, no matter the design theme or trend that one wants to apply to a space, it’s possible to bring the vision to life. From the linear glass-front fireplaces to large and open wood burning designs, whatever the space requires, a professional fireplace manufacturer can create what’s needed to bring a room (or two!) together. For centuries, people have been naturally attracted to fires. It’s where we’d cook meals, gather for warmth, and tell stories. Even though we now have ovens, central heating, and televisions, there's still something about a fireplace that naturally captures our attention. A thoughtfully-designed fireplace will be the natural gathering point for any space, and when one throws a party or has guests over for dinner, chances are a lot of time will be spent beside the wood burning fireplace. 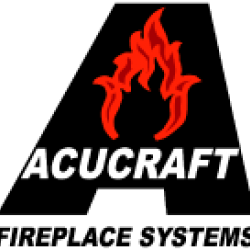 For over 40 years, Acucraft Fireplaces has been designing and manufacturing innovative fire features for residential and commercial spaces. With a team of highly-skilled and experienced designers, they can manufacture a custom fireplace for any space that will add a touch of warmth and a premium aesthetic. Whatever your needs are, the team at Acucraft Fireplaces will work with you one-on-one to design the perfect fire feature using only the highest quality materials built to last. They offer a wide variety of options, so whether you envision a wood burning fireplace or a luxurious gas see through fireplace, they have you covered.